WASHINGTON, May 30, 2012 – The Defense Department has placed strategy before budget in facing present and anticipated threats while building its joint force for the future, Deputy Defense Secretary Ashton B. Carter said here today. Carter discussed DOD’s budget priorities for the 21st century at the American Enterprise Institute’s Marilyn Ware Center for Security Studies, as President Barack Obama’s fiscal year 2013 National Defense Authorization Act makes its way through Congress.“While we’ve been fighting [in Iraq and Afghanistan] the world has not stood still, our friends and enemies have not stood still, and technology has not stood still,�? the deputy defense secretary said. “Now we must meet these changes and … in some places, catch up with them,�? Carter added. “To do that we must let go of the old and familiar and grab hold of the new to build what [Chairman of the Joint Chiefs of Staff Army Gen. Martin E.] Dempsey calls the Joint Force 2020, an agile and technologically advanced force of tomorrow.�? The present time is one of great consequence for U.S. security because two forces are coming together simultaneously, Carter said. “The first is obviously the Budget Control Act but the deeper, more fundamental force is the force of strategic history,�? he said. The 2011 Budget Control Act is a U.S. federal statute that seeks to reduce the national deficit. A “sequestration�? mechanism in the law automatically takes more cuts out of federal spending, including another $500 billion from the Defense Department, which would mean a total defense budget reduction of more than $1 trillion over 10 years. The result of the Budget Control Act and the new defense strategy, Carter said, was a balanced strategic package in three parts. First was continued DOD discipline in spending taxpayer dollars, Carter said. Second, he added, was to retain taxpayer confidence that DOD was putting its money to good use. 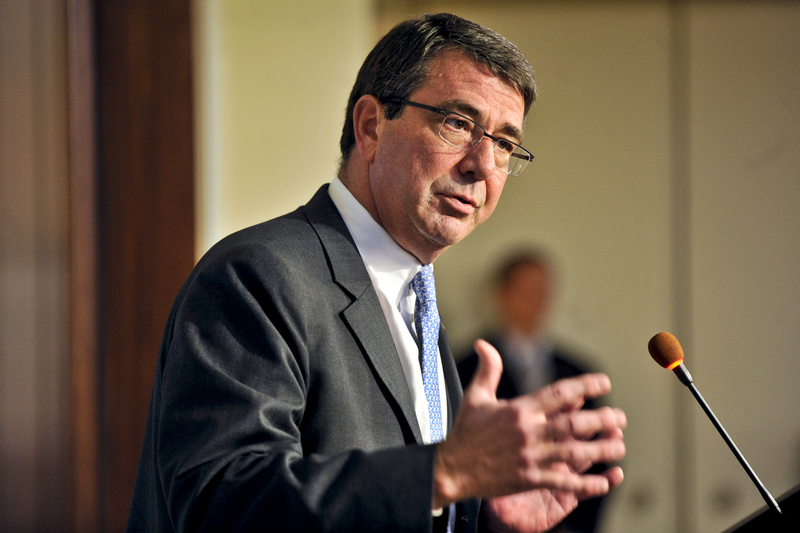 Third, Carter said, was what DOD called rebalancing toward the Asia-Pacific region. “The Pacific region has enjoyed peace and stability for over 60 years, and in that climate, first Japan, then Korea, and even China have had an environment in which they could develop economically and politically without war or conflict, the deputy defense secretary said. “That’s not a birthright,�? he added. “That is something that was guaranteed [and] reinforced by the pivotal military power of the United States in that region.�? The Defense Department now is bolstering defense capabilities in the Asia-Pacific region, Carter said. Meanwhile, the Air Force is continuing on with the new stealth bomber, the KC-46 tanker and a host of intelligence, surveillance and reconnaissance, or ISR, platforms, he said. Other capabilities going forward, he added, include a payload module for the Virginia-class submarines, conventional prompt strike and a host of upgrades in radars, electronic protection, electronic warfare, new munitions of various kinds and more. 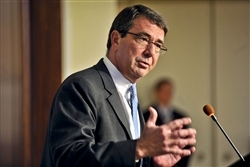 Cyber security is another area where DOD will spend more in the future, Carter said, along with certain aspects of the defense science and technology base, special operations forces, unmanned aerial systems, space initiatives, and countering capabilities for terrorism and weapons of mass destruction, including bioterrorism. In the time since DOD released its carefully balanced budget proposal, Carter said, Congress has marked up the document, adding and subtracting programs and equipment. “We made decisions within the constraints of the Budget Control Act. We had to. And when additions are made to that package in one area, we of necessity have to take something out elsewhere,�? he said. Altering DOD’s proposed budget package “could lead to an unbalanced portfolio, for example, a hollowing of the force,�? Carter said, noting he wanted “to specifically call out a couple of important decisions in that regard.�? — A somewhat larger and decidedly more capable Navy. “In all our services and in all of our activities in national security, we’re embarked on a strategic transition following the wars in Iraq and Afghanistan,�? Carter said. “This is just the beginning,�? he added. “This ship is making a very big turn, and we need to follow through on our plan and keep moving toward the future.�?